The Octonauts is a favorite show of Jayden's on Disney Junior. The Octonauts are a crew of scientists and explorers that explore the world's oceans, rescue the creatures who live there and protect their habitats. The team is lead by Captain Barnacles and they have a fleet of aquatic vehicles and underwater gadgets that help when they rescue sea creatures, explore incredible new underwater worlds, and cave the day. There are exciting opportunities every day with the Octonauts to embark on a new mission and learn about marine life before returning home to the Octopod. Fisher Price has just come out with some fun Octonauts toys for children to explore their imagination and become a part of the Octonauts team. We received a fun variety of Octonauts toys to explore and review. The first item we received was the Octopod Playset. This is a very cool playset with all you need to act out your own adventure with the Octonauts. There are over 10 play pieces that includes Barnacles, Kwazii, a mini GUP-A, 3 creatures, 4 rescue tools and a clip-0n Octo-Alert that says phrases and sounds! Your figures can slide down to the launch bay or use the stretcher to rescue an injured sea creature. There are 4 different rescue tools that consists of a stretcher, net, barrel, and anchor. The clip-on Octo-Alert can easily be removed. Jayden had a great time with raising sea creatures up on the rescue tools and sliding down the slide to the rescue. 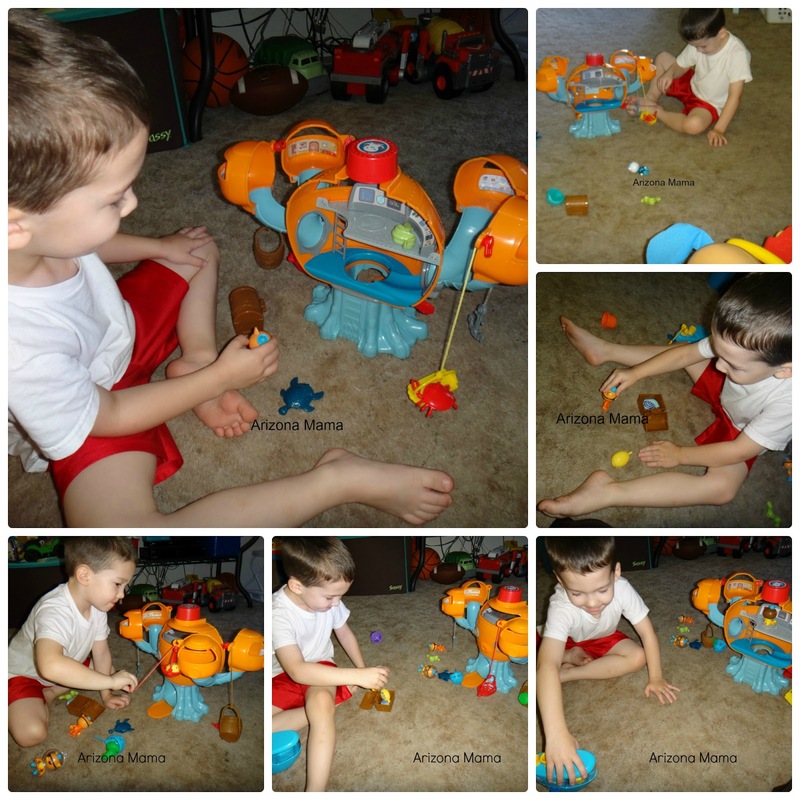 The Octo-Alert is fun and even Evan loves it. Evan often takes off with it and loves pushing the button to make it sound the alarm. We also received the Octonauts Gup-C Mission Vehicle & Shellington. This vehicle is equipted to work on land or in sea. Jayden thought it would be a great item to take in the bathtub. 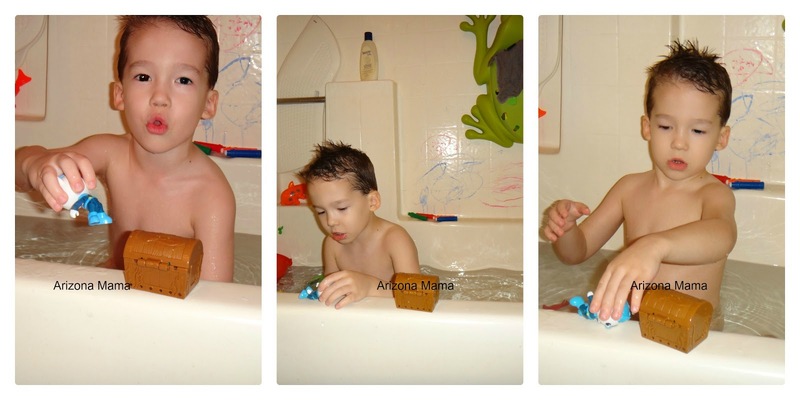 he loved going on adventures and rescue missions in the tub. 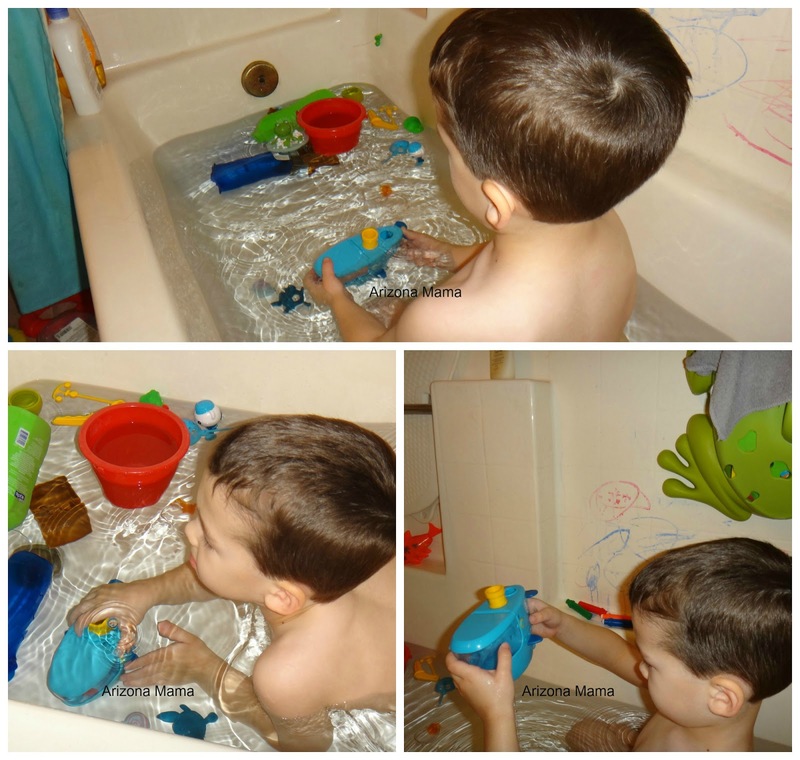 He often plays Octonauts in the tub, but its even better with the figures and vehicle. This set included a whale that changes colors in warm or cold water. 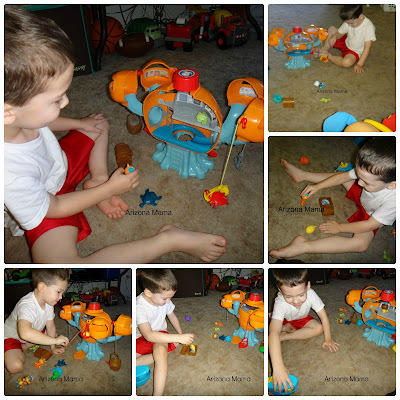 The Kwazil & Slime Eel set was probably Jayden's favorite. The set included a really cool helmet that snaps over the Octonauts figures so they can go underwater. And the best part was the treasure chest. Jayden could play for hours with just the treasure chest. He loved putting different sea creatures in it and having the Octonauts find them and rescue the creature. The sea critters change color when they are in warm water and the eel squirts water. Jayden liked hiding the treasure chest at the bottom of the bath tub and having the Octonauts use their vehicle to go find the treasure chest with a sea creature inside. The last item we received was the Octonauts Octo-Compass. The compass does not work as a real compass, but just for play. It flips open to display of photos like a mini mission control. It has an arrow that moves around freely and displays N, S, E, & W in each direction. When pressed the Octo-Compass has many phrases from the Octonauts characters Barnacles, Kwazii and Peso. It also has creature sounds and the Octo-Alert signal. Jayden had fun using the compass during his own rescues. He wanted to learn about directions North, South, East, and West. It would be even better if the compass actually worked as a compass. All these fun Octonauts toys along with many more are available from Fisher Price. If your child is ready to Explore! Rescue! Protect! 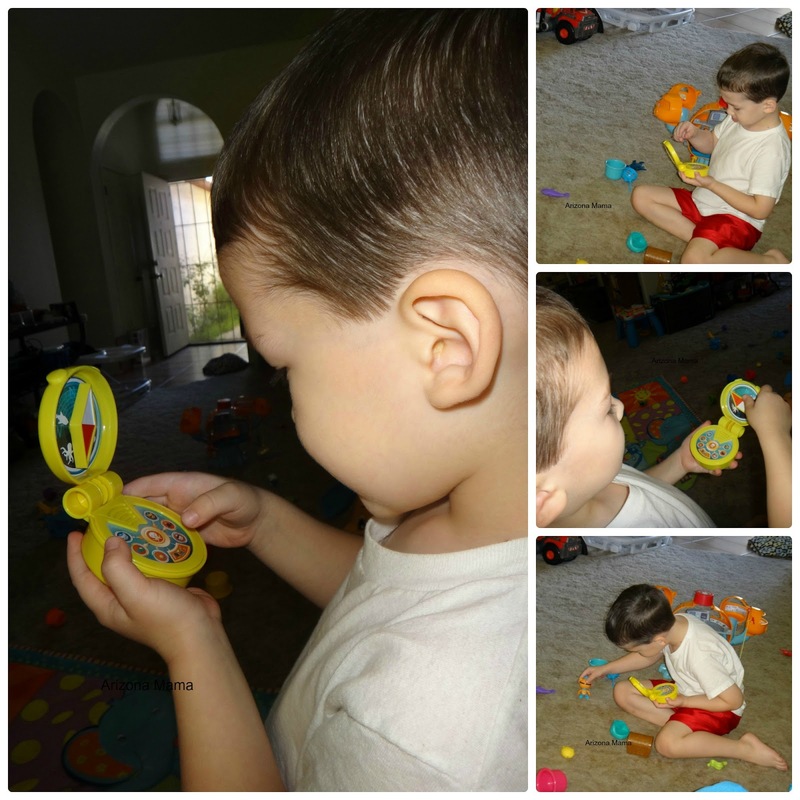 then the Octonauts toys are great for fun imagination play. Jayden has really enjoyed playing with these and Evan loves trying to take them. I really like that Jayden can explore and use his imagination. These toys look like so much fun, especially the water toys. My daycare kids would love these, since they love the show. Thanks for sharing! My son is such a huge fan of Octonauts! I hear those songs in my sleep...but I'm ok with it. Of the shows he watches, it's one of those I'm most comfortable with. I think he learns from it, and it doesn't make him all hyper. I'm so glad to see there are toys available now! Thanks for the review, my son loves the octonauts! He will be turning 4 soon and wants and Octonauts themed birthday party so these will make perfect gifts! We love Octonauts. How fun! These look great.